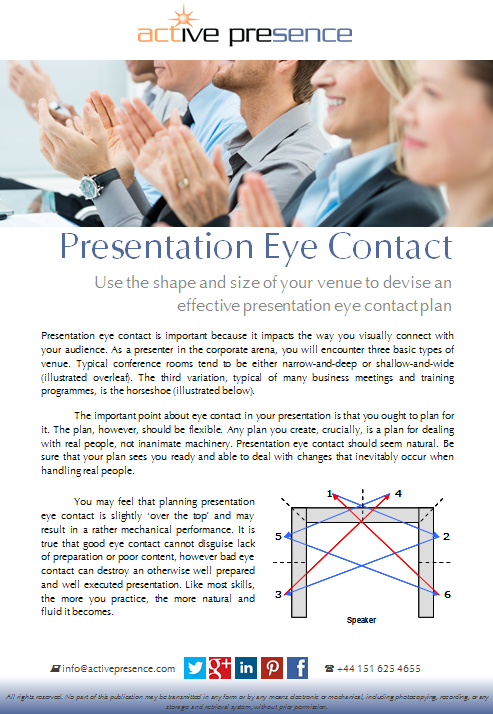 Smart Sheets are double-sided PDF documents, packed with effective presentation tips. 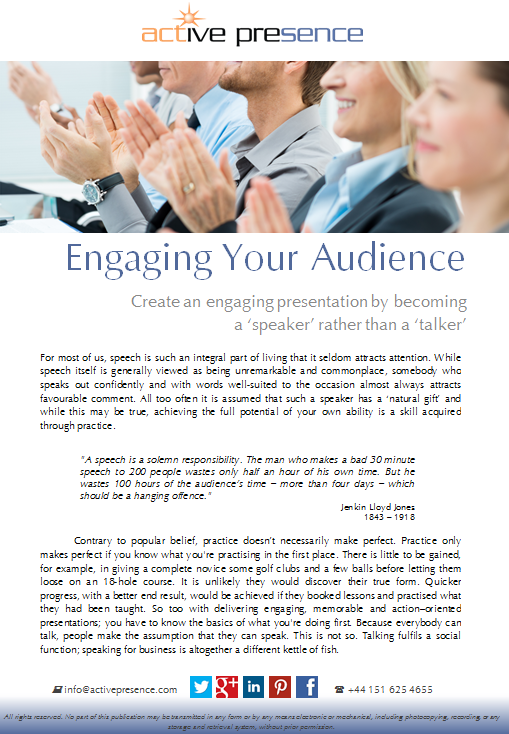 Although their focus is narrow, each sheet provides a clear, concise foundation to its topic. You are welcome to open and save whichever Smart Sheets appeal to you, no sign-up is necessary. 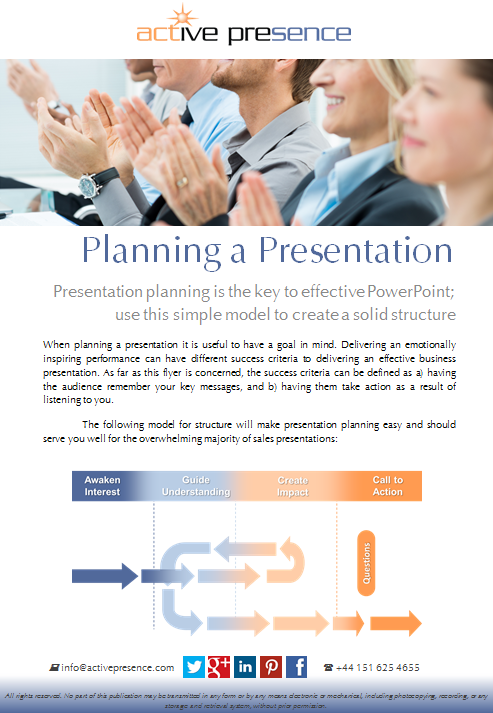 Expert Guides provide effective presentation tips across a multi-page PDF design. Each guide addresses its particular subject in greater detail, with more space than the Smart Sheets can afford. 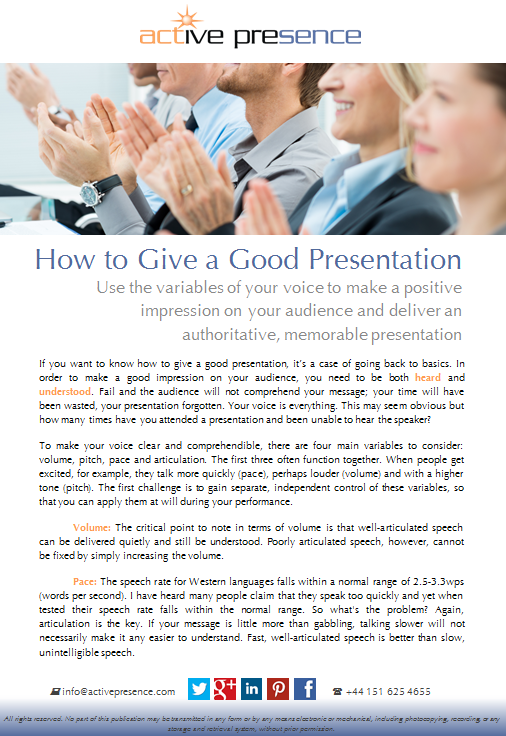 Inside you’ll find presentation tips that will inspire you to confidently make changes in the way you plan, prepare and perform key business presentations, public speaking engagements or meeting facilitation roles. You are welcome to download any Expert Guide with our compliments. 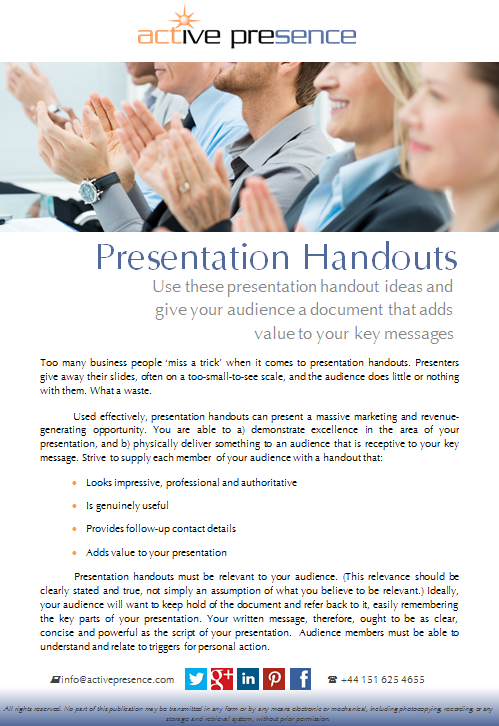 Once again, we value your ideas, so, if there's an area where you feel you could benefit from some free presentation tips and advice- be it a Smart Sheet, Expert Guide or blog post - please don’t hesitate to contact us.